The exciting saga of Major Caden Westmore continues in A Time to Endure, book two of the Strengthen What Remains series. In the first book, Through Many Fires, nuclear terrorism destroys six American cities. Caden struggles to get home across a stricken, terrified nation. 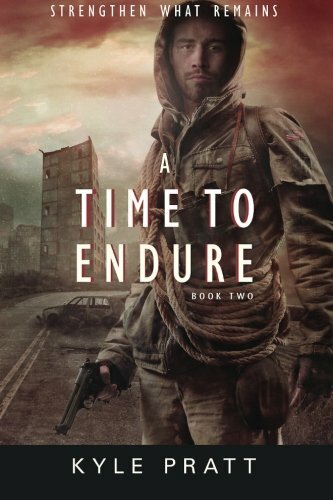 In the second book, A Time to Endure, the nation’s economy teeters on the verge of collapse. The dollar plunges, inflation runs rampant, and the next civil war threatens to decimate the wounded country. In the face of tyranny, panic, and growing hunger, Caden struggles to keep his family and town together. But how can he save his community when the nation is collapsing around it?